These products were courtesy of Urban Decay. I am not being compensated for doing this review and all the opinions mentioned here are my own! First of all, let's talk about the packaging, I love it! The blue ocean color and the green palm tree tones makes this collection transport you directly into summer. The design of the eyeshadow palette is slim, simple, and practical. It has 8 shades, a mirror and has an accessible price of $ 34 dollars ! I have been using it for weeks and I must confess that I did not think I would use this palette as much because of its vibrant colors; however, I noticed that Salt, Blaze, Heatwave, Daybreak and 16th Street can be used for my daily looks for work. In the eyeshadow look I wore on the photos below I used Blaze on the eyelid, Salt on the brow bone, and Daybreak on the edge and crease and I'm almost certain (but not 100%) that I used a little bit of Wedge on the outside edge of the eye. I love that you can create a neutral look for the office while also having the option to create a colorful summer look for the weekend! 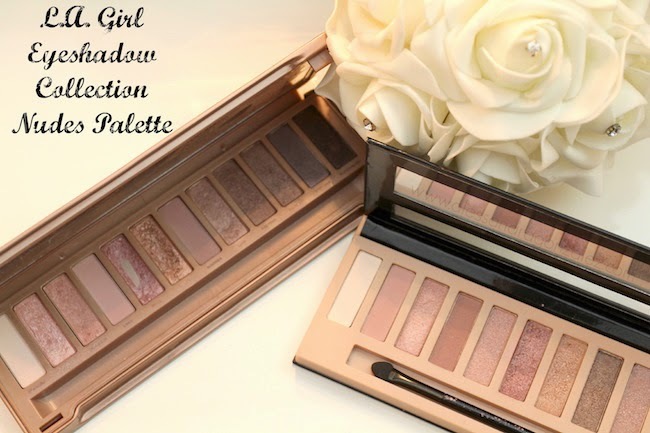 I did notice that the shadows are a bit more powdery and have a bit more fall-out than others that I own from Urban Decay (Example: the Naked Palette), but it was nothing unpleasant (in my opinion). On the contrary, the colors glide slightly more smoothly and are easy to work with. Plus, they are ultra pigmented. The Vice Lipsticks in the Beached collection cost $ 18 USD . Tower 1 is a shimmer/glitter lipstick that does not give you a lot of color, but up close (and I imagine that in the sun as well) it makes you lips look super summery as everywhere you turn the reflects of the shimmer show. I think Tower 1 would be perfect on top of another color. 100 Degrees is a vibrant pink shade that is also super moisturizing. I love how it looks on me. The consistency is super creamy; therefore, you have to be careful to not put on too much to avoid having streaks. Heatwave has a metallic finish. It is a color unlike any color i've ever had. I love it. All lipsticks are moisturizing, which makes them ideal for summer! I feel that the tones and finishes of the lipstick fit perfectly with the collection, but I would like to see Urban Decay take more risks and get liquid lipsticks. Since I received this collection I have not stopped using Sun-Kissed! I like that both colors are matte and apply evenly on the skin. Sometimes it's hard to find the perfect bronzer that does not make your face look "muddy" and Sun Kissed was just perfect for me! I also liked that the packaging of these bronzers is light and thin, which makes them perfect for traveling! It's not a secret that Urban Decay's eyeliners are some of the best. I've been using "Zero" for years, and it's one that I must always have in my collection. Lucky and Goldmine are exactly like their other eyeliners, creamy and pretty. I liked Lucky a lot because of the golden reflects. You can use these as eyeliners, as eyeshadows, and even as an eyeshadow base to intensify another shade. It has been a long time since I've fallen in love with an ENTIRE collection and I must confess that I liked all these products. However, my top two favorite products that I recommend 110% are the Beached eyeshadow palette and the bronzer. Check out and/or purchase the Beached Collection by visiting Urban Decay or your Ulta stores!